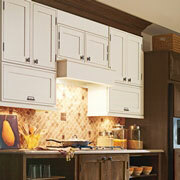 Looking for kitchen remodeling ideas or products? ProSource® of Naples has a showroom located in Naples that can help you! At our showroom, you will be able to browse our products and view intricate displays. And, if you want to bring your client along, you are more than welcome. Our showroom can be a place for both inspiration and information. So, if your client needs to visually see what their kitchen remodeling options are, ProSource has it covered! While you and your client are perusing our aisles of products, you both will be able to view the many options in cabinets, sinks, countertops, and so much more! Visit your local Naples showroom. Kitchen cabinets are used daily and need to handle a lot of use. When it comes to kitchen remodeling, buying high-quality products is essential. At ProSource, you will find only the best brands at affordable prices. 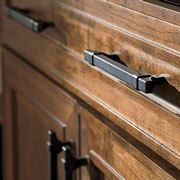 Cabinet hardware refers to the knobs and handles on cabinets. Though a seemingly simple feature, this may be one of the most challenging decisions your clients will have to make. Luckily, ProSource is here to help them with the decision. Come and view our displays and test our which option would work best for your client. Your client may have a lot of options in terms of countertops. 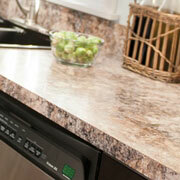 Visit ProSource together and determine which design and material of countertop would coordinate best in their kitchen. 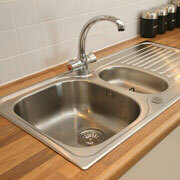 Kitchen sinks vary more than you would think. Your client may feel overwhelmed by all of their options. Bring them by ProSource of Naples to have them narrow down their choices. 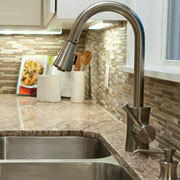 If your client is looking for a well-functioning kitchen faucet, ProSource has what they need. Stop by today!